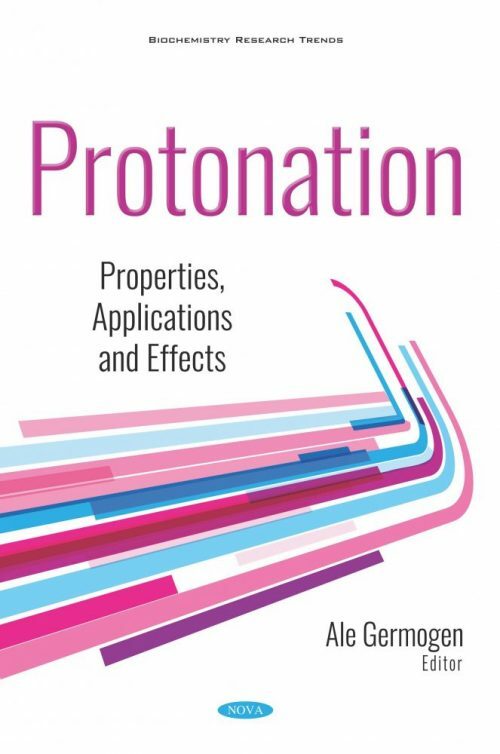 The opening chapter of Protonation: Properties, Applications and Effects deals with the protonation and 3D structural analysis of glycylhomooligopeptides and their silver(I) complexes. The authors discuss new evidence supporting the empirical adequacy of the model equation, and the advantages of this methodology explored. The concept of protonation is reviewed and discussed from the physico-chemico-biological perspectives, exploring the format of examples that govern a broad spectrum of the acts of protonation. The primary is to present the key examples for better understanding the title concept, its unity and purpose. The concluding review focuses on the physical properties of protic ionic liquids, such as their viscosities, electric conductivities, diffusions, densities, and polarity parameters. This may be useful in interpreting the relationship between molecular structures and physicochemical properties based on their unique intermolecular interactions caused by protonated chelate amines.